The purpose of this website is to keep the community informed of the progress of the bicycle network. We are looking for input on the plan, the trails, and on bicycling in Florence County. By looking at the Master Plan, each route can be reviewed including the route distance, routing, type of facility (i.e. 4-ft. shoulder/bike lane, signed bike route, off-street bike path, etc. ), and the conceptual cost, among other factors. We are very interested in your comments on this information. Please call us or write to submit your comments. Thank you! 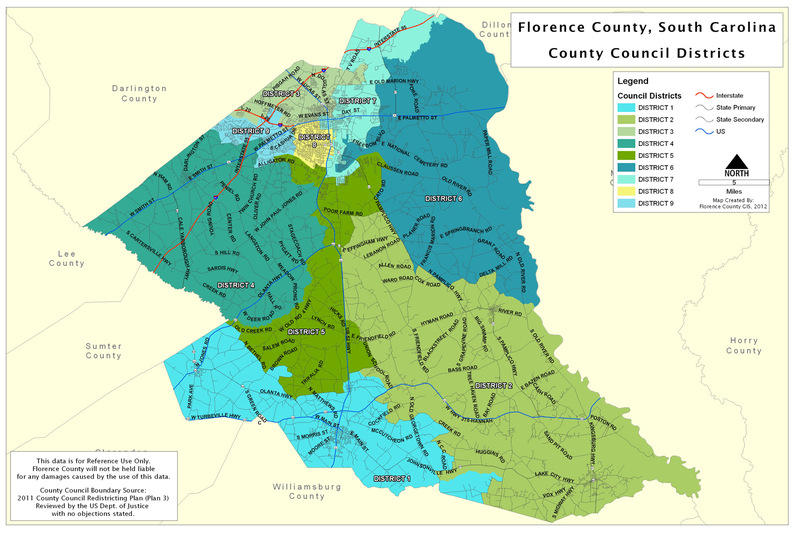 In December 2002, Florence County received a grant from the Florence Area Transportation Study (FLATS) Policy Committee to develop a Master Plan for Bicycle Routes and Trails in Florence County. Wilbur Smith Associates, a company involved in bicycle planning since the 1970’s who has conducted over 100 bicycle related projects, conducted the study and we now have a Master Plan for a bicycle network in Florence County. Florence County also had a local Trails Coordinator working through DHEC on this plan. The purpose of this plan is to serve as the blue print to construct routes and trails in Florence County, while making the most efficient use of the resources available for construction. The plan identifies specific routes and trails and provides a cost estimate and the likely usage of each route. The Florence Trails Committee meets quarterly, typically on the third Tuesday at 12:30 pm. If you are interested in attending, please contact our office at (843) 676-8600!